John is one of Ireland’s most respected personal finance gurus with a genuine interest in helping people make their money work for them. He is probably best known for his popular books on personal finance ‘The Money Doctor’, ’50 Ways to Wealth’, the 9 editions of ‘The Money Doctor’ since 2006 – Ireland’s best-selling finance guide. The latest Money Doctor 2014 – 100 Ways to Save Cash (Gill & Macmillan) is endorsed by Pat Kenny, Joe Duffy, Gay Byrne, Jim Power and Brendan O’Carroll. The 10th edition comes out November 2014. John’s approach as The Money Doctor is simple, objective and effective. What he most enjoys about his role as a personal finance writer is that he is free to tell rather than sell the public what he really thinks and tell it in an easy to understand style – “in plain English” as they say. John is and has been a frequent interviewee and commentator on our national airwaves including Newstalk FM and RTE Radio together with a host of regular local radio station slots such as Tipp FM, Clare FM, LMFM, Highland Radio, Midlands 103FM. Amongst his television appearances includes RTE’s The Late Late Show, Prime Time, Afternoon Show – and TV3 – Ireland AM, Morning Show, Midweek and Midday. John currently writes a weekly column for both the Sunday Business Post and Irish Daily Star (Thursdays) plus has written regularly for a number of magazines and national and local newspapers. With over 27 years experience in the banking sector – John is a Fellow of the Institute of Bankers, a member of the Institute of Directors and appointed in May 2014 by the Insolvency Service of Ireland as a Personal Insolvency Practitioner (PIP). He is also managing director and founder of Providence Finance Services Ltd trading as Money Doctor, a fully authorised financial services company for investment, pensions and debt management services authorised by the Central Bank. John’s presentations can be tailored to suit your chosen subject. His speciality topics include “Surviving the Recession-simple steps to transform your finances” a 70 minute entertaining journey on personal finance followed by a 20 minute Q & A. John is invited to speak on personal finance to companies and organisations from all sectors home and abroad to help them make the most of their money. 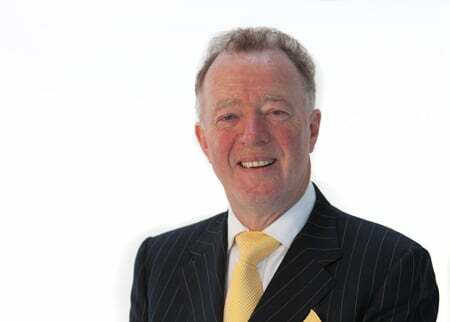 He has spoken at several public shows such as the Over 50s Show in the RDS, plus a series of seminars to auctioneering executives with economist Jim Power. He has also presented to Statestreet Bank (6) Pfizer, ESB International, Lloyds Pharmacy and Google companies to name but a few.